Rivalries. It is what that drives the fans; whether it is movie stars, footballers or in the 2010s, the smartphones. It does not get bigger in the smartphone space than the Apple vs. Samsung rivalry. The S9+ and the S9, Samsung’s flagship duo have arrived within 5 months of the iPhone X debut and another epic battle has just begun. 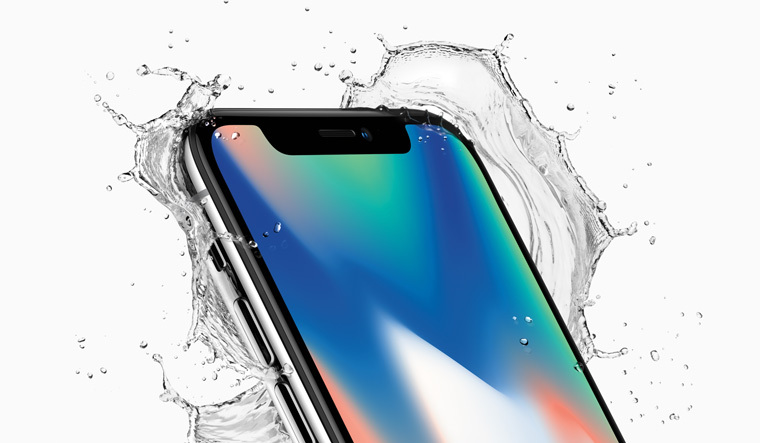 The iPhone X broke new ground for Apple – a new form factor, a completely new user experience without the home key that Apple users thought they couldn't live without and of course, the Face ID. And then there’s the S9/S9+, that takes over from Samsung’s path-breaking 2017 flagship (the S8) with an infinity display that changed the rules of the game. We pit these two devices in a shootout after spending considerable time with them. The overriding philosophy for both devices is the same – an all-screen form that knocks off the bezels and creates an immersive user experience. 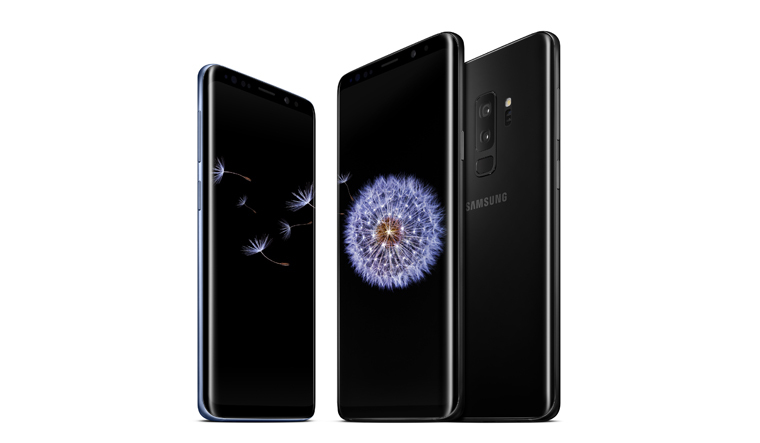 Both devices work well for one-handed navigation – the S9+ is slightly (15 mm) taller but also offers an extra 0.4-inches of screen real estate. You could consider the S9 if you are looking for a slightly smaller (and lighter – by 25 gm) device. Both devices opt for an all-glass form with an option of wireless charging. Samsung has moved the fingerprint sensor on the S9+ to a slightly more accessible location on the device’s rear but you might still end up smudging the lens occasionally. The S9+’s dual camera follows the iPhone X’s placement instead of sticking with the design that Samsung originally used for the Note 8. Both devices feel really good in your hands. Like every other Apple vs. Samsung comparisons, this might boil down to personal preference. Both displays are remarkably vibrant – great for all forms of media consumption. On paper the S9+’s display specifications – 1440 x 2960 pixels / 18.5:9 ratio / 529 Pixels per inch (PPI), are better than the iPhone X’s display that packs 458 PPI (125 x 2436 Pixels). It is also a slightly larger display. It is the iPhone X’s notch (the little piece of bezel that hangs down from the top of the display and packs a variety of sensors) that users love or loathe. It certainly makes the iPhone X stand out but personally I find it difficult to ignore while catching a video. This round is quite complex with both devices scoring in different areas. The S9+ rides heavily on its camera; it is one of the visible changes from its predecessor. The variable aperture is one its talking points – the rear camera flits from a f/1.5 aperture to a f/2.4 aperture depending on the lighting scenario. It does have a marked impact on lowlight photography, an area where the S9+ scores over the iPhone X. The other trick that the S9+ brings to the party is the Super Slow Mo mode that can slow videos down to 960 FPS (frames per second). This adds a whole new perspective to everyday situations but works better in ambient light. We prefer the Portrait Selfies on the iPhone X. The S9+’s 3500 mAh battery certainly seems more formidable than the 2716 mAh battery under the hood of the iPhone X. But it also serves a slightly larger screen. Overall the S9+ performs better on this front. We like the battery saving options that are available on the S9+ and the quick charging feature that fires up your device faster. 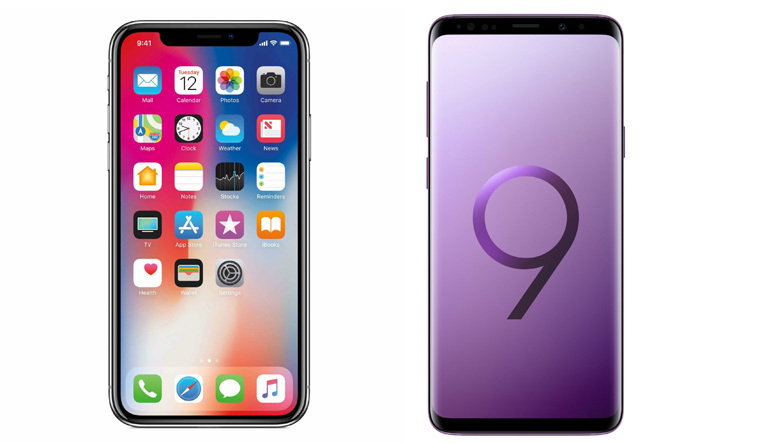 Both devices pack best of the breed hardware – the iPhone X is propelled by Apple’s A11 bionic processor while the S9+ features a 64-bit octa-core processor (2.7GHz Quad + 1.7GHz Quad) and 6GB of RAM. Both devices come out tops in multi-tasking and gaming challenges. The S9+ comes with a hybrid slot that can either support an additional SIM card or Micro SD cards up to 400GB. Our favourite improvement in the S9+ is the audio set up. The AKG-tuned stereo speakers add to the entertainment credentials of the device. It is the same with the iPhone X’s stereo speakers that sound terrific. Face ID was the big change in the iPhone X; it has sparked memes and won appreciation. It is certainly a big step in how you interact with your phone but there are occasions when it takes a tad longer to unlock your phone. The iPhone X’s animoji feature doesn’t just showcase the deep AR integration of the device but is both fun and compelling. Samsung’s avatar-based AR Emoji that takes on the animoji isn’t quite the finished product yet. Both these devices have a cool bag of tricks. Samsung’s Bixby digital assistant has acquired a few new skills this year including translation abilities while Samsung has also sweetened the deal on Samsung Pay, its mobile payment and digital wallet platform, by offering 5X reward points in India. It is certainly not easy to pick a clear winner in such a showdown. There is a significant price difference between the two devices – S9+ starts at Rs 64,999 while the iPhone X costs Rs 83,499 (64GB version). Both devices pack a great camera, display and deliver a great user experience. Like most other Apple vs. Samsung showdowns, this will come down to comfort levels and allegiances.